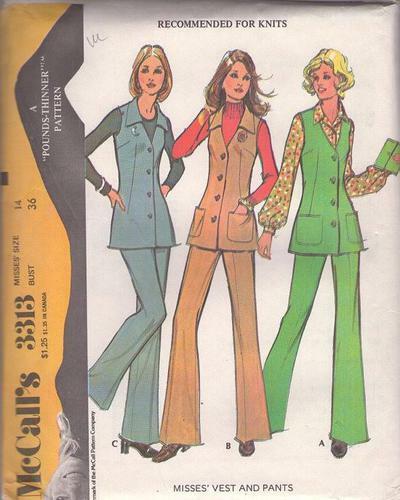 1972, 70s Knits, Retro Office Clothing Patterns - Lined, front buttoned sleeveless vest has back vent, A, B has lined patch pockets. B, C have collar. Pants have no waistband and side zipper closing. Groovy, baby.